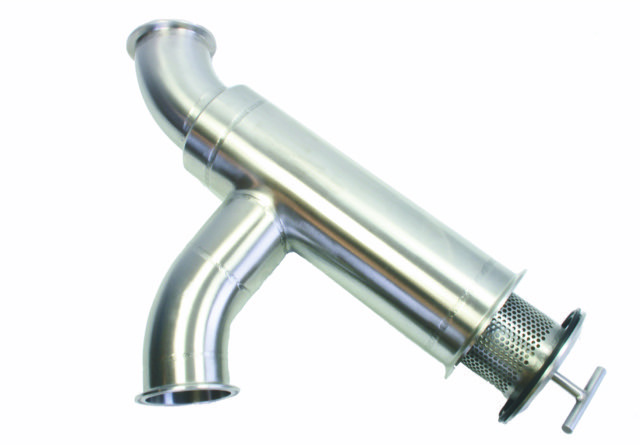 For a small footprint and increased efficiency, Sani-Matic Y-Strainers are designed to fit into tight piping configurations where room is scarce. The design also provides easy access to the element for quick inspection and cleaning. The Y-Strainers are engineered with a close-tolerance fitment (0.010”) at the base of the insert that eliminates the need for an O-Ring. Fewer parts mean faster cleaning and increased productivity.